South Africa on Sunday will sign the African Continental Free Trade Area (AfCTFA) agreement, Trade and Industry Minister Rob Davies confirmed. In a video put out by the Department of Trade and Industry (DTI) on Twitter, Davies explained that the country is behind the free trade plan. Previously in March, President Cyril Ramaphosa signed the Kigali protocol indicating South Africa’s commitment to sign the trade agreement. South Africa did not join 44 other African countries in signing the agreement, as there were still some areas which required clarity, Davies explained at a press briefing later that month. At the time Davies explained that the document, which is 250 pages long, required legal scrubbing in terms of South Africa’s constitutional and internal processes. 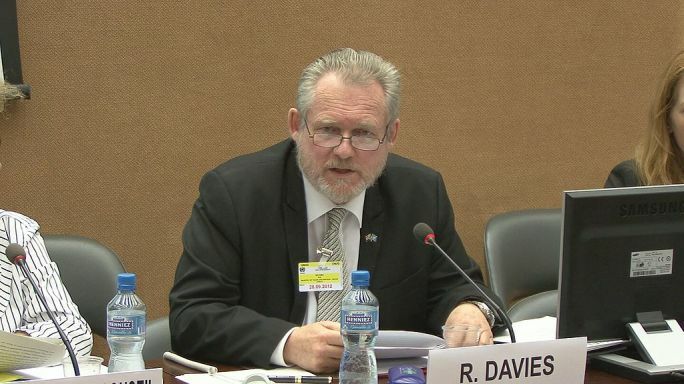 In the video published on Sunday, Davies reiterated this reasoning saying that the Constitution and legal system requires “any international agreement to be vetted” by law advisors. “That work has been done. Now that all the necessary paperwork and consultations back home have been done. We will be signing today,” said Davies. The government will also be signing two annexures on trading goods and services in the continent. “We are very happy to be part of this club,” he added. The DTI will “without delay” present the proposal to Cabinet to send the agreement to Parliament for ratification. The agreement would make South Africa part of turning around the “framework agreement” into a “commercially meaningful set”’ of relationships within the African continent. This will result in increasing intraregional trade and develop regional value chains and move the continent to higher more complex levels of production. “That is our goal, that is our intention and South Africa is fully behind that objective,” said Davies.